Event: 9th Challenge at the Unifying and eco-friendly vineyard! 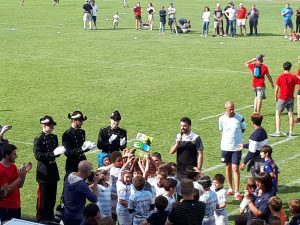 The ‘9th Epernay Vineyard Challenge’, brought together 1,850 rugby players aged between 7 and 12 years old. 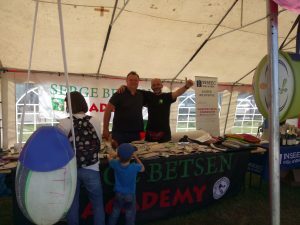 SBA provided a stand with recycled rugby balls manned by volunteers Chest and Kenos (the TQT finally reunited!). 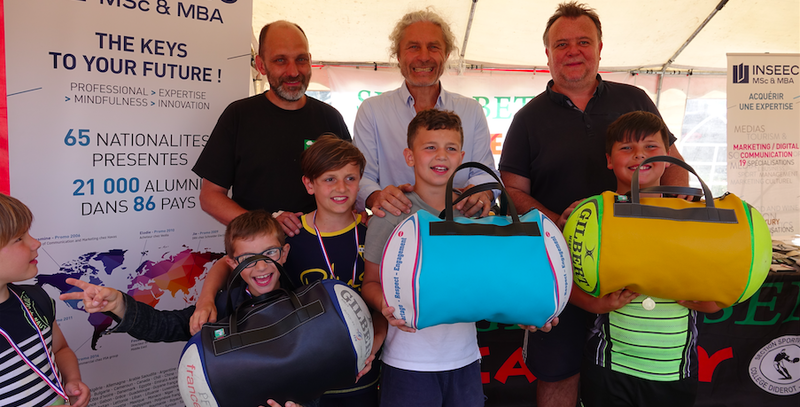 It was a great success, especially with the ‘Week-End’ bags and the getting together of Belgian, Dutch and French neighbours! 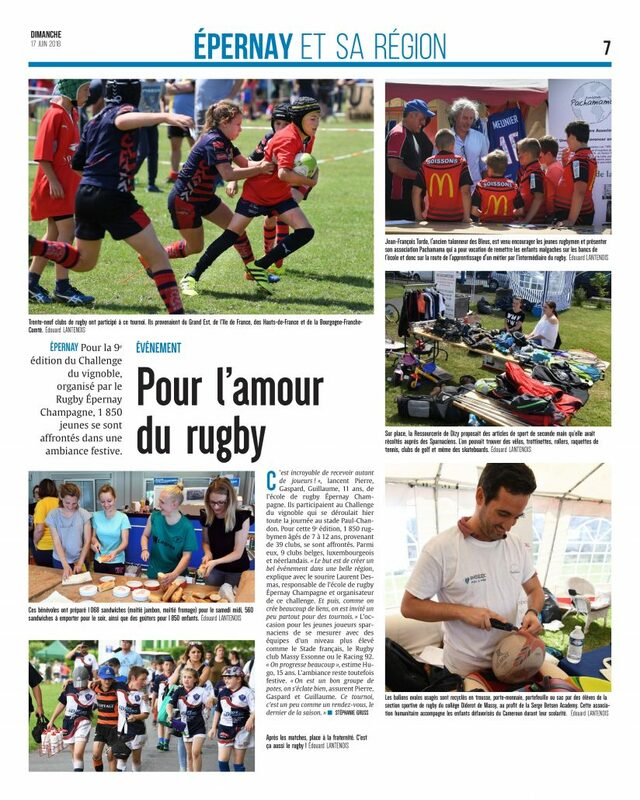 There were 39 clubs participating in this sports day from Belgium, Luxembourg, and The Netherlands. The proceeds from the sale of confectionary items exceeded €3000. 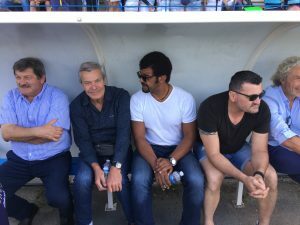 Lionel and Christophe were able to interact with Jeff Tordo from organisation “Pachamama of Madagascar” present that day along with many international guests including: Jean-Pierre Garuet-Lempirou, Jacques Boussuge, Francis N’tamack, Cédric Debrosse, Jean-Maurice Oulouma and hundreds of children. A tombola was organised with great prizes contributed from the profits of the Pachamama and SBA associations. A donation of more than 330 euros will be poured into our association as a result of funds raised. Rugby material (shirts, studs…) were also collected for this event creating a thrilling showcase for the two associations. A big thank you to Guillaume Martin, Director of Pedagogy (MSc and MBA) at L’INSEEC and to Laurent, the organiser of the Vignoble Challenge. Thanks also to the École Polytechnique and all the young people attending and offering their support. 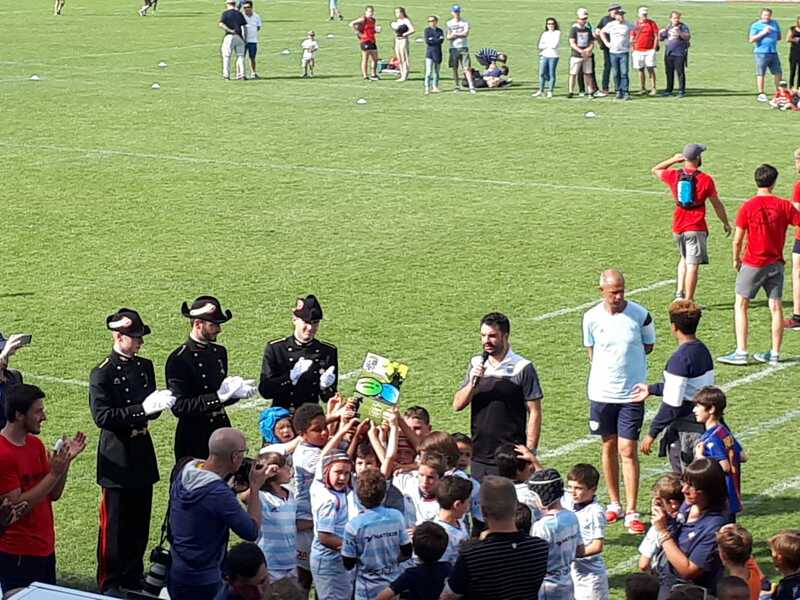 Congratulations to Racing Colombes, winners of the Tournament! A beautiful day in the Champagne region! http://www.sergebetsenacademy.org/wp-content/uploads/2018/06/Capture-d’écran-2018-06-20-à-10.36.12.png 459 903 jenna http://www.sergebetsenacademy.org/wp-content/uploads/2015/10/SBA-logo.png jenna2018-06-28 14:00:182018-08-28 14:05:21Event: 9th Challenge at the Unifying and eco-friendly vineyard!